Brian Tracy is a leading authority on personal and business success. He is America's business & success guru. He is the best-selling author of 16 books and over 300 audio and video learning programs. Brian addresses more than 250,000 people each year, has spoken in 23 countries, and speaks 4 languages. CelebrateLove.com is proud to present the entire Brian Tracy library of books as well as numerous audio and video cassette programs. There are four book shelves featuring the books of Brian Tracy. Coming soon. . . Currently under construction are the Brian Tracy Video shelves in Larry's Book Store. Stay tuned! Click here to visit the Brian Tracy Audio/CD Shelves. NOTE: Clicking on a book cover or link will take you to that book and more information about the book. Shopping in our online book store is 100% safe. SPECIAL for CelebrateLove.com visitors! - Best Value! 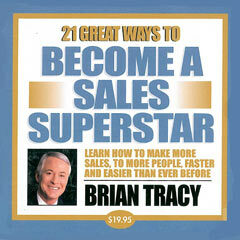 21 Great Ways to Become a Sales Superstar - Brian Tracy - Receive one of Brian Tracy's best selling audio programs every month by subscribing to the "21 Great Ways Collection." 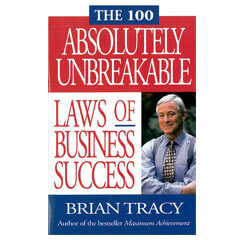 The 100 Absolutely Unbreakable Laws of Business Success - Brian Tracy - Why are some people more successful in business than others? Why do some businesses flourish where others fail? Renowned business speaker and author Brian Tracy has discovered the answers to these profoundly puzzling questions. In this eye-opening practical guide, he presents a set of principles or "universal laws" that lie behind the success of business people everywhere. 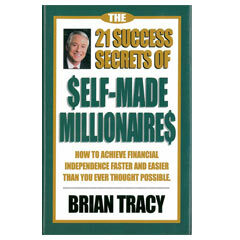 21 Success Secrets of Self Made Millionaires - Brian Tracy - Learn how to make more money, get out of debt, increase your income and achieve financial independence - guaranteed! Practice the little-known secrets used by all self-made millionaires to go from rags to riches in one generation. 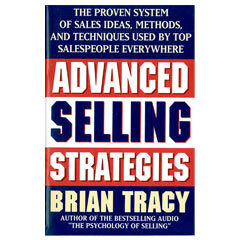 Advanced Selling Strategies - Brian Tracy - Based on more than thirty years of selling success, Advanced Selling Strategies gives the readers powerful, proven strategies derived from recognized mental principles. Among these are the importance of self-image and the need for constant self-analysis. In a key chapter, Tracy explains the seven mental laws of selling. "When you organize your life and your activities in harmony with these laws," he says, "your career will take off." 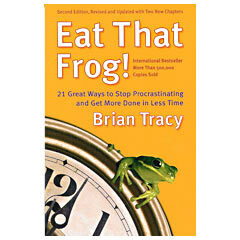 Eat That Frog - Brian Tracy - This book is a fast read that is rich in practical advice that will help you stop procrastinating and get more done in less time. Brian Tracy synthesizes and distills the very best ideas and insights on time management into twenty-one logical, immediately applicable steps. Each chapter provides specific exercises you can use to implement Tracy's advice immediately and see the results for yourself.